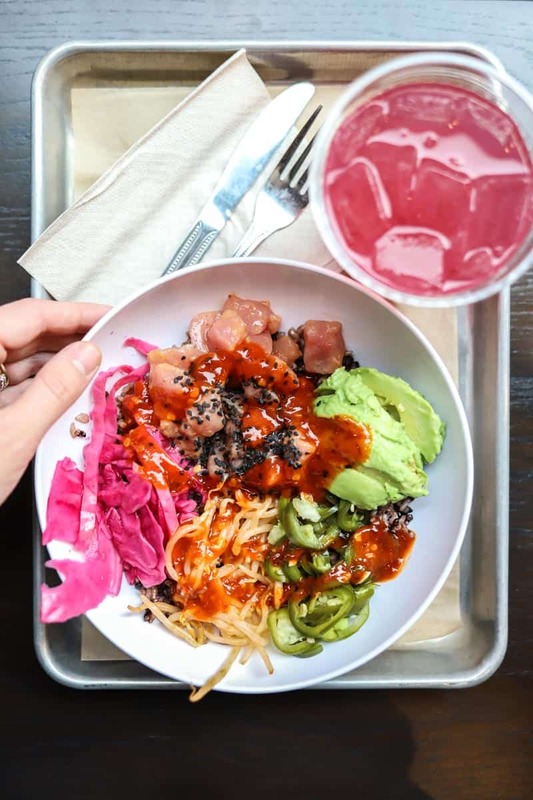 Whether you’re a food fanatic or not, one thing our readers have in common is that nearly everyone is aiming for a healthier lifestyle including finding healthier places to eat! 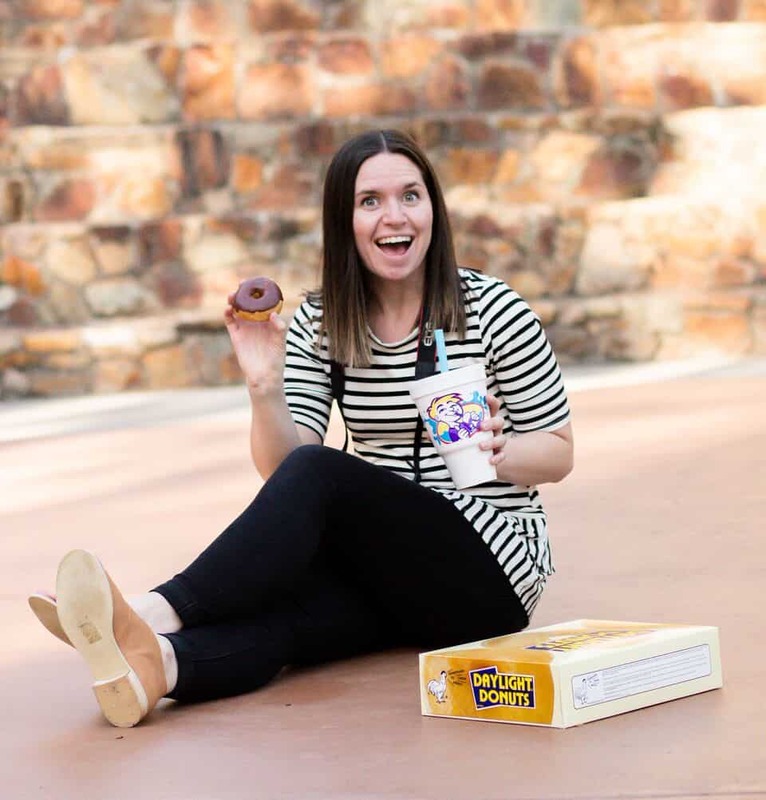 Although Female Foodie certainly isn’t a healthy eating blog (cue the cheeseburgers, pizza, and donuts), we believe in moderation and balance in all things. Healthily fueling your body doesn’t have to be miserable, especially while eating out! 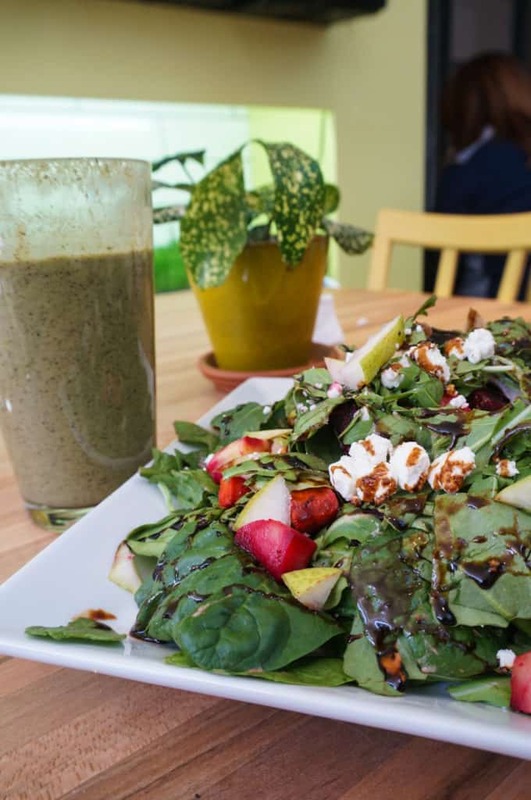 We’ve compiled a list of our favorite healthy spots around Salt Lake City. These restaurants range from strict “healthy eating” restaurants to other favorite places with great healthy options. We share these recommendations with the hope to provide more healthy dining out ideas and meals that we know will leave your foodie heart satisfied. 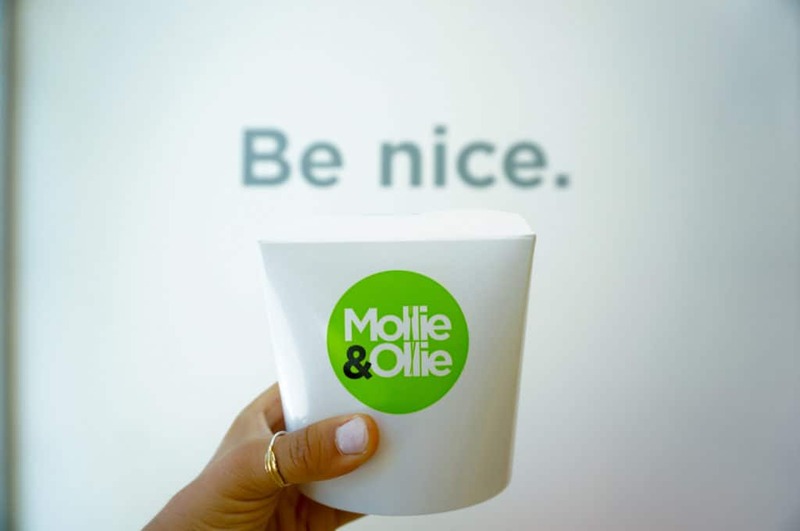 Clean proteins, fresh vegetables, and unique homemade sauces all mixed together make for a great meal at Mollie & Ollie. They have a mix of their M&O created salads, scrambles, and stir fry; yet, you still had the option of creating your own. If you’re wanting fast food, yet healthy, head on over! Our pick? 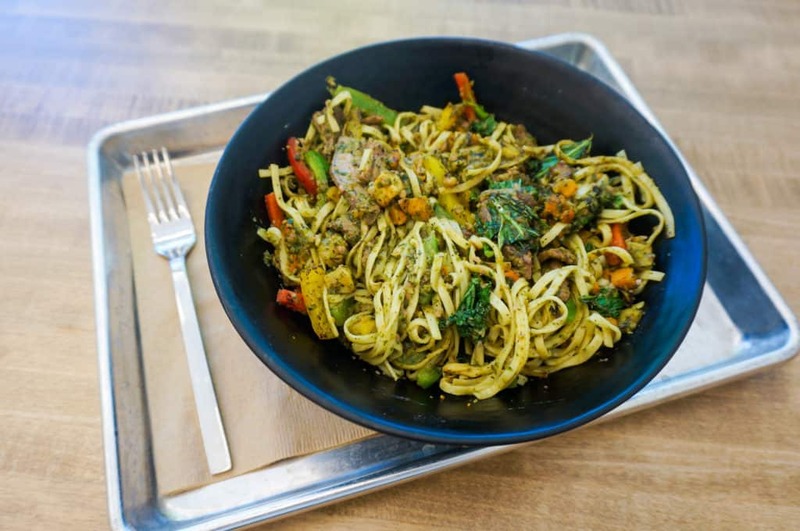 Chimichurri Pesto stir fry: amazing pesto sauce, freshly-made egg noodles topped with kale, sweet potatoes, bell peppers, and perfectly cooked beef = a delicious bowl of food. Whether you’re an avid nutritionist or a hearty muncher, Pulp Lifestyle Kitchen can satisfy any appetite, healthy and non-healthy eaters alike. Their specialty besides healthy ingredients? Homemade juices! Whether you’re wanting to do a juice cleanse, or simply craving a midday snack, these are top of the line. For lunch or dinner, we prefer the roots salad and hot mess burger! 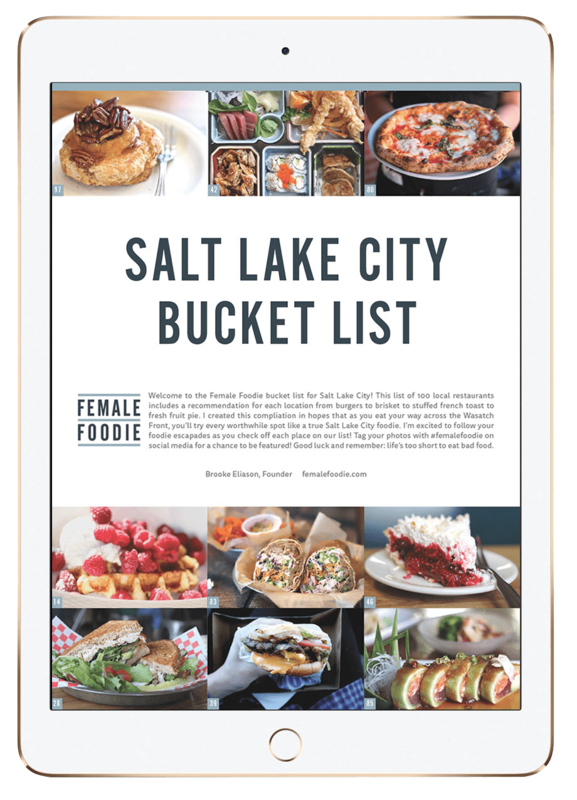 With locations in downtown SLC, Sandy, Millcreek, and American Fork, CoreLife is dedicated to providing clean, healthy, and great tasting food that tastes good and can be enjoyed! They have several great menu options including green and grain bowls, power plates, and warm rice bowls. We love that they make the food right in front of you so that you can choose to add or omit ingredients as you go down the line. Don’t forget to try some of their delicious handcrafted beverages including cucumber basil lemonade, cranberry cayenne lemonade, beet lemonade (our favorite! ), homemade fruit punch, and kombucha. Formerly known as ProteinHouse, Fueled Kitchen is a great spot in Draper that serves reliably healthy and delicious food! If you need something quick yet hearty, order one of their creamy and delicious protein shakes- we recommend both the cinnamon roll shake and the fueled freak shake. Looking for something more filling? Try the babe bowl, salmon seared to perfection atop flavorful veggies and rice. Headed here for breakfast? 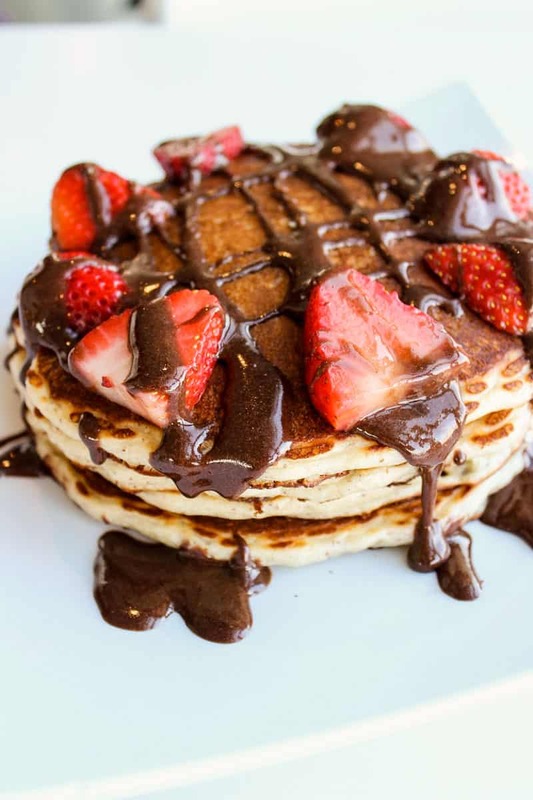 We love the Chocolate dipped protein pancakes probably more than anything on the menu, which tastes like a healthy-ish donut adorned with fresh berries for toppings. One of the best healthy restaurants in Salt Lake City for breakfast, lunch, after the gym, or even dinner. The food at Aubergine & Company is filling, healthy, and totally satisfying. Whether you want one of their signature dishes or choose to make your own salad or sandwich, they will not limit your healthy cravings. The homemade hummus, pita bread, and tzatziki sauce make any dish to die for and the employees here are always happy to share their personal favorites on the menu. We recommend trying the pita with your favorite toppings or a smoothie if you’re looking for something lighter- the banana monkey is delicious. 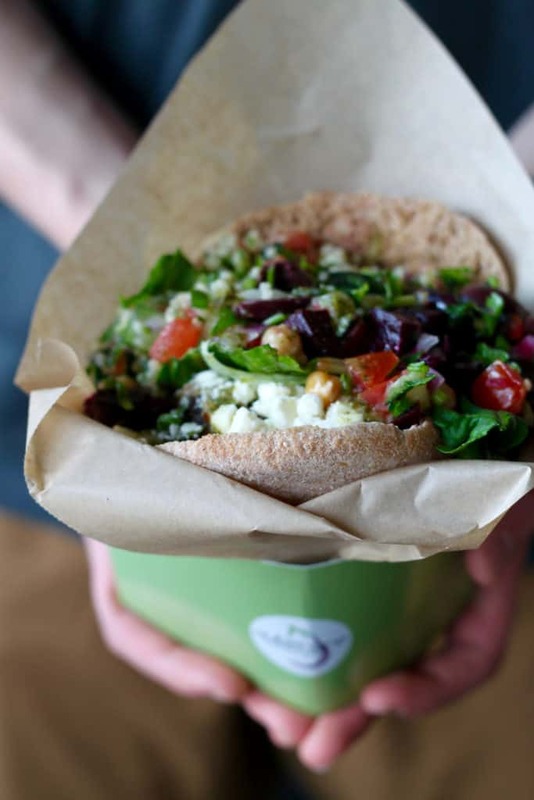 We love GR Kitchen for delicious, healthy, and fresh greek food! Choose from classic favorites like pilafi and Greek salad or healthier options like quinoa, kale, or roasted veggies. Their fast-casual model allows you to select your protein, sauces, sides, and toppings completely customized for every dining experience. 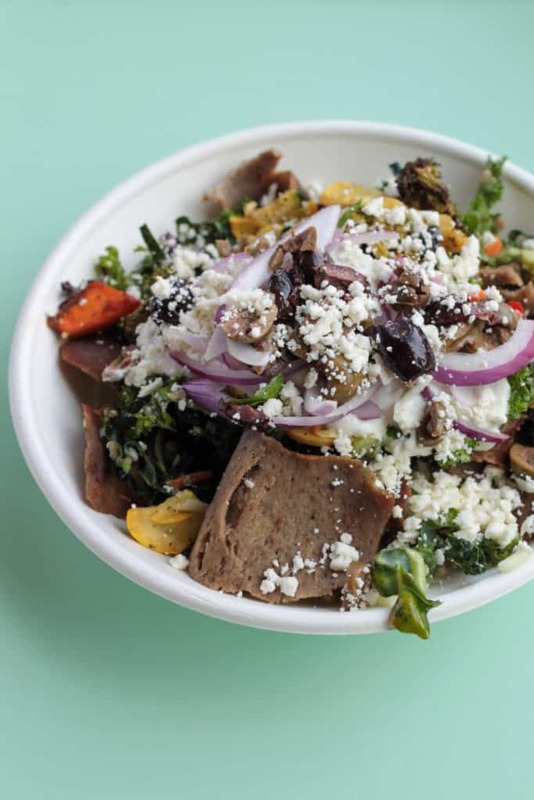 Our recommendation is the classic Gyro salad with tzatziki, feta, and all the veggies! A Salt Lake City favorite, The Rose Establishment is located a block away from Pioneer Park. Not only is The Rose home to a classy, modern coffee shop, but they also create deliciously healthy and satisfying dishes! These two aspects coupled together creates an experience that is so calming and enjoyable. Feel good and fuel your body well for breakfast or dinner. We recommend the brunch bowl and the roots sandwich. And if you’re feeling a little on the edge their cookies are fantastic too! 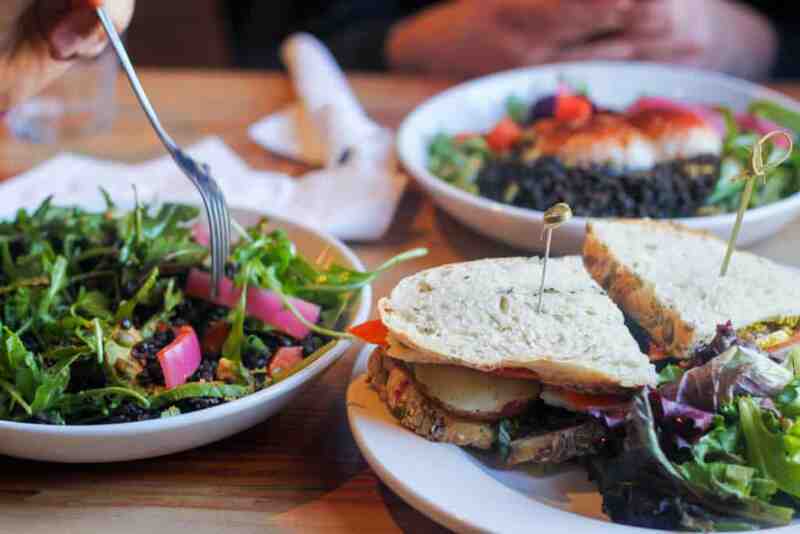 Laziz Kitchen is not only one of our favorite spots for healthy food in Salt Lake City, but they also serve some of the best food in the entire valley. 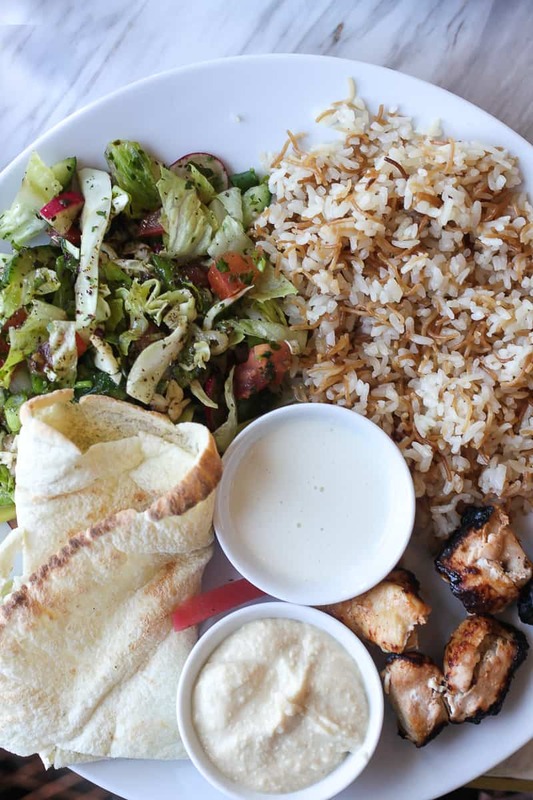 Serving Lebanese cuisine near downtown SLC, Laziz Kitchen has an incredible menu with offerings from homemade dips to wraps to stew to burgers. If you’re looking to focus on the healthy menu items at Laziz, we recommend starting with the hummus and choosing between the salad bowl or the platter. They also have an entire menu dedicated to Whole30 approved menu items including several small plates and 8 different entrees. Tucked into the center of Millcreek, this cafe specializes in locally grown products and healthy unique plates. If you’re ever in the neighborhood, head over to Root’s Cafe! It’s easy to miss, but hard to forget. 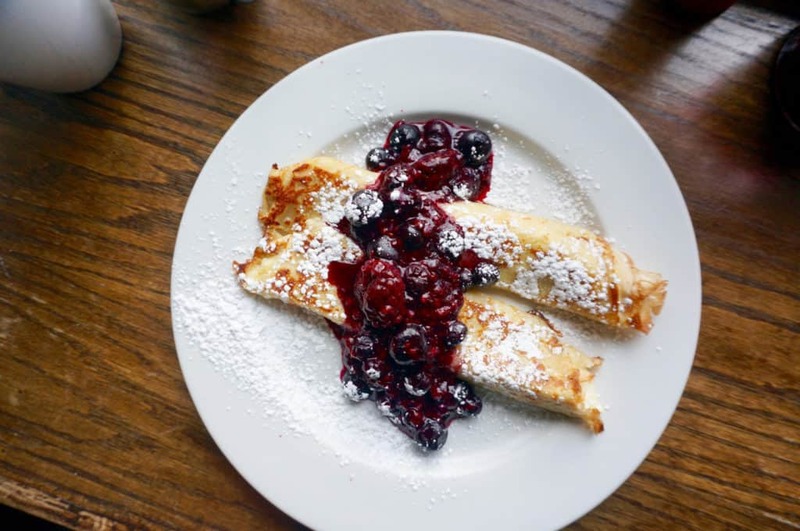 They are open for breakfast and lunch 7 days each we but we are definitely partial to their breakfast (some of the best in town, and guilt free too!). Menu favorites include the Peeto breakfast sandwich, buckwheat pancakes, and “the cleanser” juice. 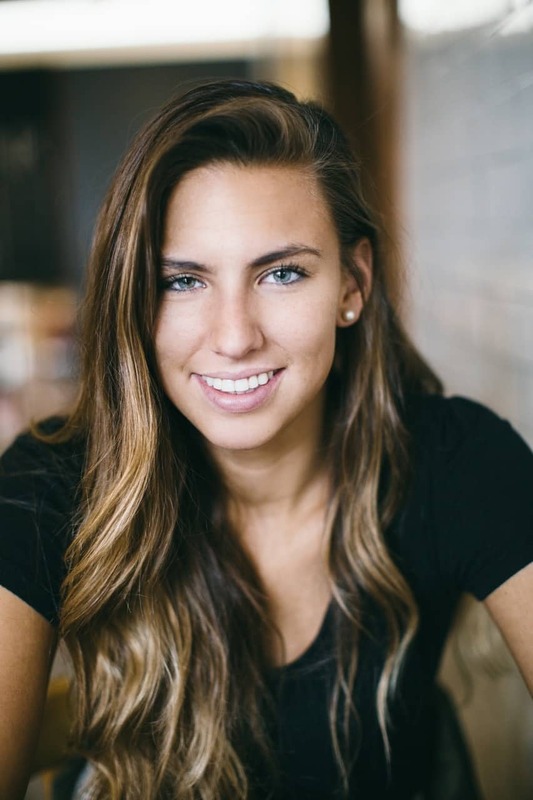 The Protein Foundry is our favorite healthy restaurant in Salt Lake City thanks to their explicitly healthy menu options that taste amazing. They have a great variety of healthy and delicious foods on their menu from gourmet shakes to acai bowls to yogurt bowls to homemade toasts. 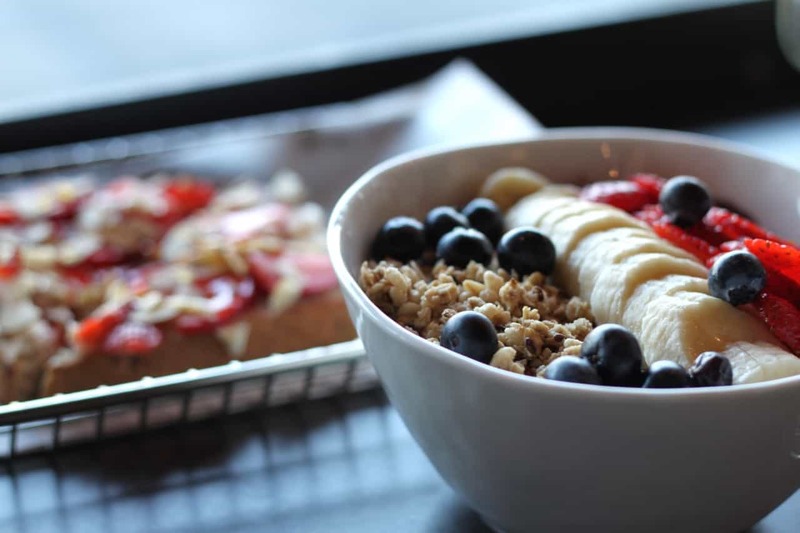 We recommend the Snickerdoodle shake, the Velvet Samba acai bowl (this granola will change your life), the Ares yogurt bowl, and the Cali toast. I’m surprised rawtopia didn’t make the list! Or Zest! These sound great though and I can’t wait to try them! The bowls at Pulp are super yummy! The Rose is one of my favorites for the ambiance and the food. Fabulous list! 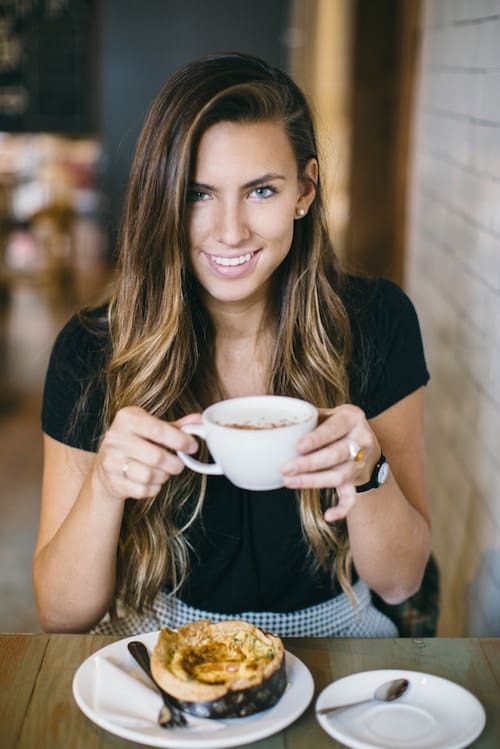 I was googling healthy lunch spots and was pleased to come across this list, which led me to discover Corelife Eatery. Definately passing the recommendation on…thank you!